Comodo Internet Security 2013: A Hit With the Critics! Producing a major software upgrade is a lot like producing a Broadway show. You write it, practice in the test lab, then take it “off Broadway” in a beta test where you can get the feedback of a live audience. When you have all of the kinks worked out you make your big debut. Like a Broadway show the critics will have their say. Now, we produced Comodo Internet Security 2013 (v6) for computer users everywhere and we know that you just can’t please everyone. Then again, based on the reviews so far, maybe we can. Since the official release of our new version we have been gratified by excellent reviews from some of the most respected and widely read resources in technology. As of January 18, Matousec ranked us number 1 in their Internet Security Challenge, which compares 38 Windows Security Suites. Comodo was the only suite to receive a protection rating of “Excellent” and only one of three products that Matousec rated as “Recommended”. 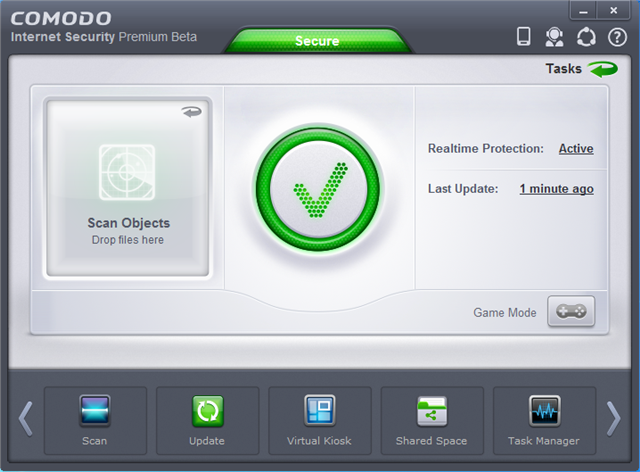 In a January 9, 2013 review of Comodo Internet Security Pro 2013, Mike Williams of BetaNews.com concluded “the average user will appreciate its largely automatic operation, though, while experts enjoy the powerful tools and extreme configurability.” He was particularly impressed with the bundling of the firewall, killswitch and Geek Buddy. When a show is a hit there is often a sequel. In our case, you can bank on it. That’s because while the threats to internet security keep increasing, the technology that we have available to combat those threats is improving rapidly. The Comodo team knows that a safer internet requires continuous improvement and innovation.